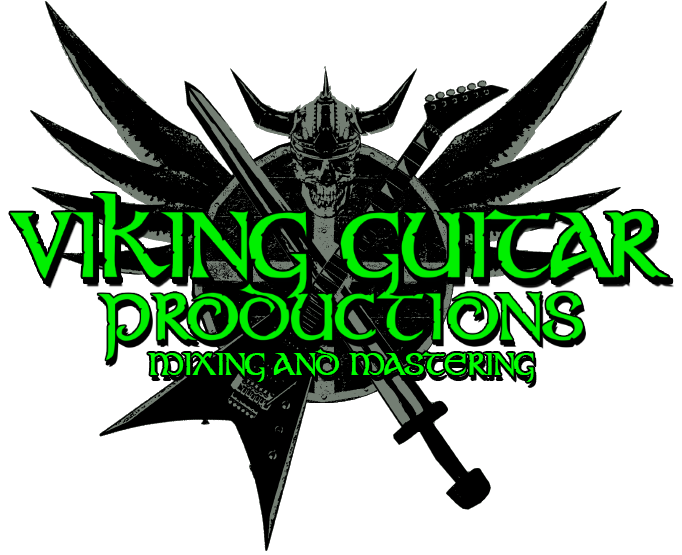 Viking Guitar Productions is your one-stop solution for mixing and mastering services, ensuring that your music sounds its best. Offering editing, mixing and mastering services for bands, solo musicians, and voice over artists. Don't settle for inferior "automated" services that will do a disservice to your audio. With Viking Guitar Productions, you'll get over a decade of audio experience to make your music shine! No job is too big, too small, or too weird. FREE SAMPLE MIX/MASTER OF YOUR SONG! "Erik is one of the best communicators I've met, and his work is on par with or better than every other mastering engineer I've worked with. He was able to complete our project rapidly and with very few revisions." "Absolutely stoked on the synth parts added to our newest Brain Drill record. Erik at Viking Guitar Productions did an amazing job and added that extra atmosphere to our sound. If you are looking for mixing, mastering or some tracking and session work by a very dedicated person for a super affordable price, go to him." "Erik is one of the best engineers I've had the opportunity to work with. For our Ecco the Dolphin compilation, Sound Waves, not only was he able to transform nearly three hours of music from 36 completely different groups and artists into a single cohesive album, but he did it promptly and to the highest standard of quality. In every interaction we've had, he has been professional, friendly, accommodating, and eager to help create an end-product specifically tailored to our needs. I look forward to working with him again on future projects, and I would highly recommend him to anyone in need of a skilled top-notch audio engineer." PREPARING YOUR PROJECT FOR MIXING? 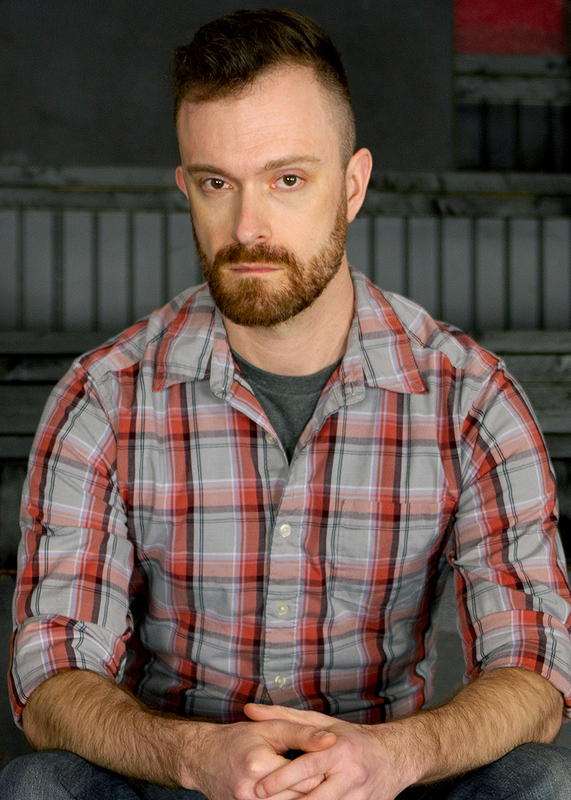 I'm Erik Peabody, and I am the owner of Viking Guitar Productions. My work has been everywhere from the front page of the iTunes store to installations at Disney theme parks, from professional wrestling events to gaming conventions with tends of thousands of attendees. I am absolutely committed to getting your music to sound as good as possible, and I have the experience, the tools, and dedication to make that happen. Whether you're a seasoned band with a new album for a label, or a home musician that's looking at hiring an engineer for your first project, I'd love to work with you to get your project to its full potential. Send me an email today to tell me about your project! "After coming to a dead end with my own knowledge of mastering, I decided it was time to search for help. I started searching around and came across Erik's website, and after listening to his previous work I decided he was the guy for me. I sent him an email and within what seemed like minutes, I had a response and he was genuinely interested in helping me out. He has absolutely brought my tracks to life, and gave them exactly what I was looking for. He was willing to work with me and listen to suggestions, and answer any questions I had. He is an absolute professional, and this whole experience has been a pleasure. I will continue to work with Erik on any and every future project I have." "Let it be known that Erik is a fricking god. He's been mixing a song for me and some friends and has been super accommodating for our super picky tastes and has FRICKING NAILED IT on every draft he sends us, even dealing with our oftentimes contradictory opinions." "Erik (Viking Guitar Productions) was a tremendous boon to my project. He worked diligently to realize my musical vision and was highly adaptable, expertly navigating multiple setbacks (with the source files) which could have otherwise been ruinous. My EP has gone from an amateur bedroom production to a professional-sounding album." "Viking Guitar Productions was an absolute joy to work with. He took the time to work with me on the fine details of my needs. Didn't talk over my head, made multiple revisions and was pleasant throughout the process. Worth the money, nuff said." "I can't believe how much more life you brought to my song! I listened to my own mastered version and it sounds so weak in comparison. You did really great work, thank you!" "It was a pleasure working with Erik. His knowledge and expertise at mastering made my debut album a breeze. He was in constant communication with me every step of the way and helped bring my creative vision to life. Affordable and professional!"